Empires has long been the Warriors splinter series that excited me the most, for the simple factor of increased player agency. As much as I enjoy – un-ironically - the retelling of the Romance of the Three Kingdoms, adding a fourth kingdom to the mix, my kingdom, filled with my own custom officers, remains an exciting prospect. Player customisation is perhaps the one area that Dynasty Warriors 8 Empires actually improves upon. The officer creator is there, much as it was before, but now officers can be placed in units, these are forces that can emerge during a campaign. This is fine, but it becomes increasingly interesting when the other new customisation options are factored in. You can now design custom banners, carried by your forces into battle. In addition to editing troops you lead, by changing their model (for example, peasants or sorcerers), their physical build, amour colour and emblem. As cool as it is, the emblem is kind of pointless; it is so small you will almost never see it in battle. You can create custom horses; changing their colour, physical features, and abilities. As well as custom campaign scenarios, scenarios and units can be shared online. While small features on their own, the custom units and banners in particular go a huge way to giving your custom officers and kingdoms a sense of legitimacy and identity. Custom officers, accompanied by custom troops, bearing custom banners. 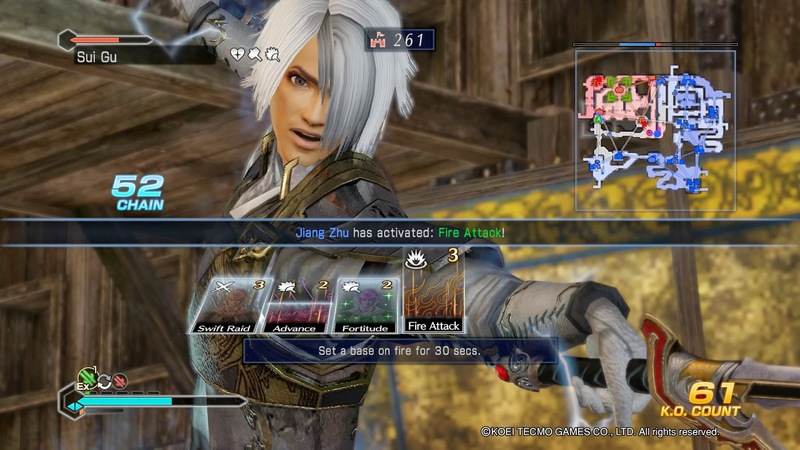 Where previously the series had a range of well-defined stratagems that included; the summoning of special units, and more the interesting map-altering abilities, Dynasty Warriors 8 Empires dabbles more in the mundane unit buffs and utterly pointless area of effect damage. The more interesting strategies, like the ability to block off a route using a rockslide does not appear to be present, the most dynamic thing you can do is place an archer tower. Stratagems like flood are present but do not manifest in the same way; in 7 Empires floods would engulf part of the map, reducing movement speed and inflicting damage on units near to the map’s river. In 8 Empires you don't actually see the flood, it just removes instabases from the map, as far as I can tell. If it does flood part of the map like it used to, it is so minor and insignificant I couldn’t tell, which clearly is not a good sign. There are few in-battle cutscenes to indicate a stratagem being activated, most happen without any such fanfare. For example, an archer ambush triggers without a cutscene, it’s easy to miss and even if you do manage to catch the line of dialog, it is impossible to tell what impact it is having. This is true for the large scale stratagems too; you can wait perhaps ninety seconds for a ‘large-scale’ volley of arrows, another largely pointless area of effect stratagem without a cutscene. In theory weather affecting stratagems is interesting, but again, if you can’t tell what impact your stratagem has, or even if it activated at all, why bother? It feels like the in-battle strategy was sidelined, most of the stratagems are buffs, heals, area of effect blasts, and teleportation across the map. All things that don't require new assets… They feel like character abilities rather than tide-turning gambits. It is hugely disappointing because it is what defines the Empires combat. The stripped down remnants of strategy found here is overshadowed even by last year’s side objectives in Samurai Warriors 4. Fear not, the glam hair is still present. It is not just the in-battle tactics that have suffered either, the Empires campaign has lost many of the features that made 7 Empires so compelling; the villainous and virtuous Fame alignment has been made largely pointless, quests are exceedingly one note, and your interactions with other character and factions has been limited further. 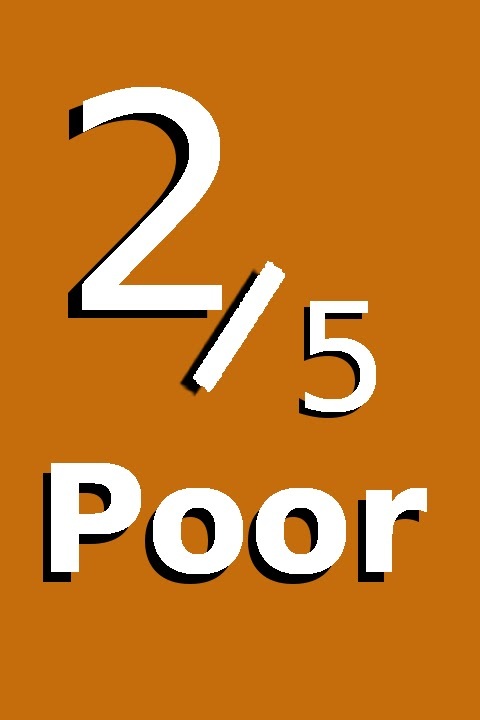 There really isn’t a good reason to play as anything other than a ruler, the quests are really the only thing to do as a lowly officer and they are the most basic and repetitive ‘missions’ possible. It says a lot that my favourite quest type is assassination, which requires using stealth that really isn't difficult or much fun, to assassinate a single officer. The reason I ‘like’ this quest type so much, is because they take less than a minute to complete. There are less spontaneous events, I haven't been forced to choose a pro or anti Emperor stance, I haven't been approached by a mysterious merchant, nor have I participated in special battles in historical scenarios. You can still swear oaths and get married, and you can now have children, which I still haven't worked out the purpose of. The only new system at play in the Empires campaign mode, are titles, awarded for in game challenges, such as; execute an officer. These can carry across campaigns, allegedly changing the characters personality if you meet them. If it does, it is not obvious or major, I certainly did not find it a compelling reason to play, or try different approaches. The few spontaneous cutscenes that do occur are reused wholesale at the end of a campaign. It begins with a less an 5 second long cutscene (literally), which is preceded and succeeded by load screens, rolling then into a de-saturated montage of cutscenes you've already seen. And there is only maybe half a dozen per campaign as it is. Aside from having lost some of features that made Empire’s previous incarnations compelling, Dynasty Warriors 8: Empires is rife with bugs, and stricken by poor performance. The framerate is noticeably bad at the best of times, but slap an archer tower on the map and it takes a dramatic dive. If you attack an archer tower the effects are even more shocking, the framerate reaches what I suspect are single digits. This is specifically the case with the less robust looking towers that emit dust effects when hit. The more bulky towers only invoke poor framerate, not quite reaching the levels attained by their flimsier cousins. None of that is quite as deplorable as the regular freezing and hard crashes to the PS4 front end. Before this game I didn’t even know the PS4 bug report form existed, nor that you could submit video evidence of an issue, now I have had to use it multiple times. Say what you will about the production values of the Warriors games, but I cannot recall one in which I have experienced such shocking instabilities, it was certainly not the case in last year’s releases. Neither was the horrendous, seesawing framerate for that matter. 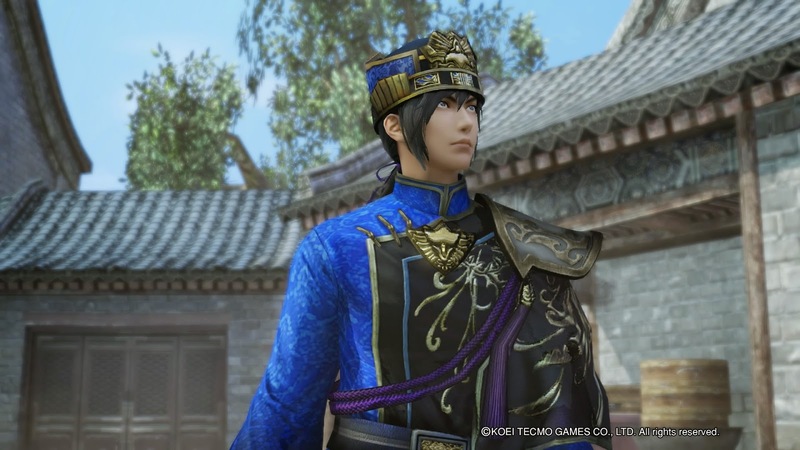 The woeful performance is made even more bewildering by the fact that Empires doesn't even look as good as last year’s Dynasty Warriors 8: Xtreme Legends, or Samurai Warriors 4. Areas of 8 Empires have clearly been improved over the last generation Dynasty Warriors 7 Empires, but as discussed previously, it suffers for it. 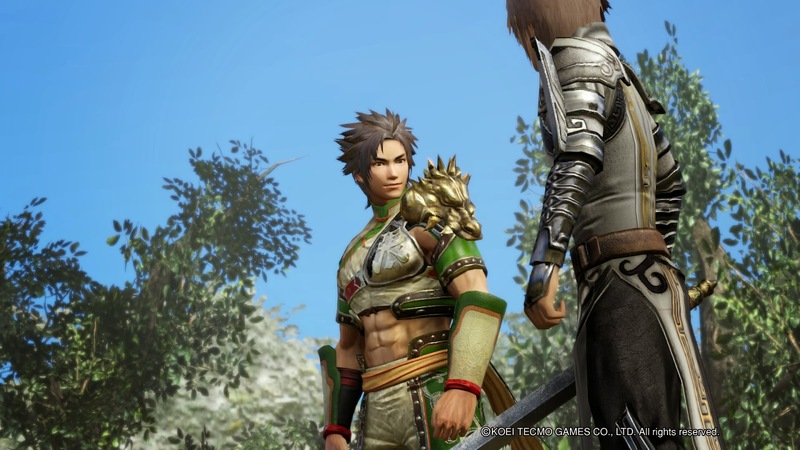 Yet dropping but a few seconds into Dynasty Warriors 8: Xtreme Legends and Samurai Warriors 4, and the rift in graphical quality, and smoothness is made immediately apparent. On a more positive note, Xun Yu is the new addition to the roster this release, the young strategist bolsters the faction of Wei with his formidable Formation Rod. I found Xun Yu a ton of fun to play; as you bust combos he lays down a series of magical rods in the ground, creating a kind of explosive magical net. Of course, being an Empires game, which doesn’t possess a linear story, he isn’t given much of a personality to work with. Dynasty Warriors 8 Empires is a mess all told. 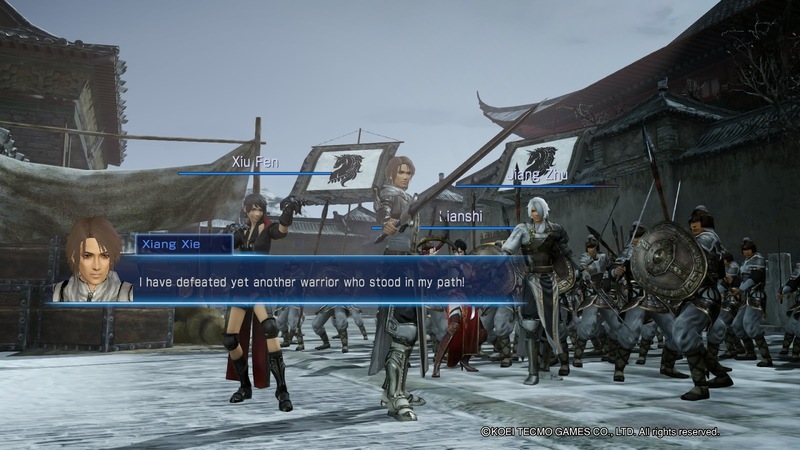 The impact of the in-battle tactics has been lessened, and the titles challenge system simply isn't as meaningful as Fame in Dynasty Warriors 7 Empires, presenting no compelling reason to play as anything other than a ruler. The new customisation options are good, and Xun Yu is fun to play, but they can’t make up the difference in this otherwise lacking package. However, I consider the design issues somewhat secondary to the truly erratic framerate and regular crashes, made more galling by the fact Empires is graphically inferior to last year’s Dynasty and Samurai Warriors titles.